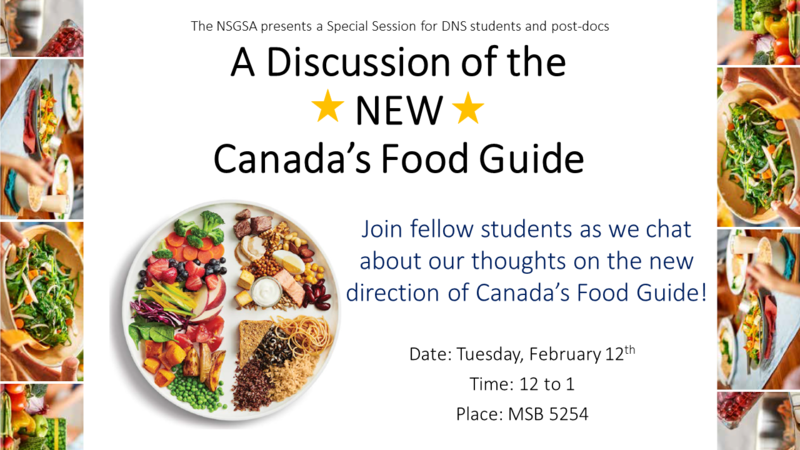 Join the NSGSA for a special discussion on the *NEW* Canada’s Food Guide Tuesday, February 12th! We will be chatting about our thoughts on the new direction. Come out to share your view or if you are curious about how others feel! Access the new CFG here.